When I finished the French series, my mind still didn’t turn to home. Not immediately. I was looking further south. To a big city. A series of thrillers set in a bustling metropolis. I’d been planning the books for a year or so, my mind tweaking and pulling at ideas when I was out on the fells with the sound of the larks as my only company. What changed? The Dales crept up on me. Just as animals can be imprinted by humans if they spend too long with them, so I became imprinted with this amazing part of the world. While I was trying to plot murder in the city, I was constantly noticing the shade of the heather on the hills as September bleeds into October. Instead of turning my thoughts to the voices of the city-dwelling characters I was creating, I was hearing the first call of the curlew as spring arrives. And rather than describing crowded streets and the mayhem of city life, my eyes were drawn to the rainbow colours on the ewes’ rear ends as the breeding season got into full swing! The landscape and its inhabitants got under my skin. How could I not write about them? And so, after quite a few runs up on the fells where I do my best thinking, the Dales Detective Series was born. Characters arrived, locals and offcumden – folk from beyond the dale – all thrown together by mystery and murder. They congregated in The Fleece, a pub where everyone knows everything about you – and sometimes even before you! They gathered in the market on the cobbled square. They frequented Peaks Patisserie, a cafe I want to one day open for real! They were inhabitants of Bruncliffe, a typical Dales town. Except it isn’t. Bruncliffe is fictional. A small piece of make-believe in the middle of a genuine map. To the south, following the Leeds-Settle-Carlisle train line, is Skipton. 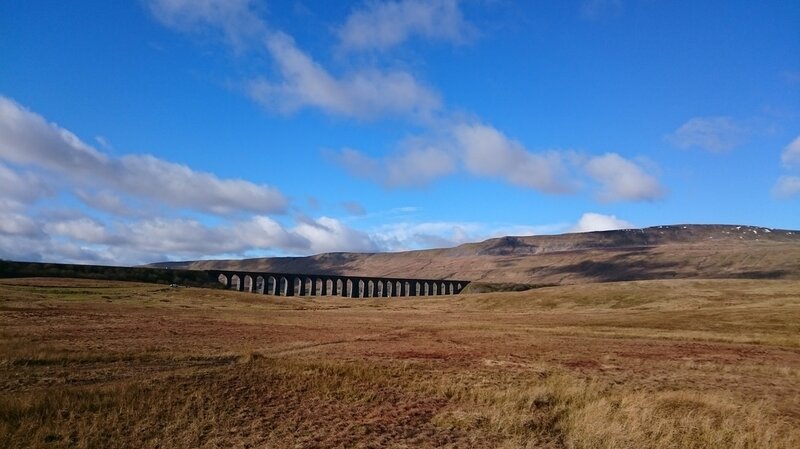 To the north, the village of Horton-in-Ribblesdale and the dramatic span of Ribblehead viaduct. And exactly where the town of Settle resides, that’s where I’ve located Bruncliffe. But while Bruncliffe may be fictional, the world it’s set in isn’t. 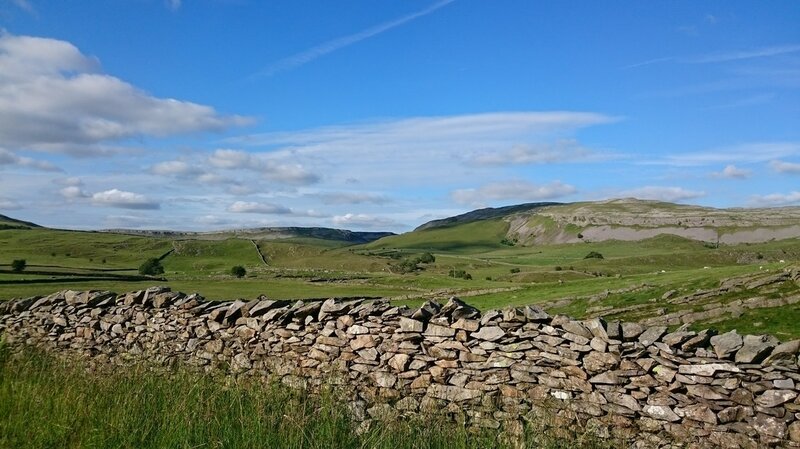 The Three Peaks of Pen-y-ghent, Ingleborough and Whernside feature heavily. The limestone pavement patterns the fells. Swaledale sheep outnumber people. And the locals are as blunt and sharp-witted as their real-life counterparts. I’m sure I’ll eventually get around to writing that thriller series set in an urban world. But for now, my heart is in Bruncliffe with the Dales Detective. And there’s no other place I would rather be!